We print A4 price lists for salons up and down the country. Displaying your services prominently in a price list and ensuring your customers know all of your services increases sales. Give yourself space to display your content and provide beautiful imagery to entice your customers. Folded A4 Prices lists are the staple of any salon. Printed on a choice of 170gsm silk, gloss or uncoated pager stocks by ensuring your customer know what services you provide and the cost will help you sell more. 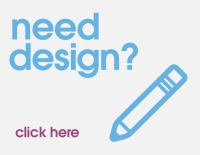 We always recommend you use a professional design service for the design of your price lists. Great design may cost you now, Bad design costs you forever more. If you want to use our services to bring your ideas to life, our design studio will only be too happy to help. Contact us via the contact form or call 028 9002 2474. VAT - Charged where applicable. Priceslist is a commonly referred to term for leaflet printing. This product is generally VAT exempt, however exemptions may be over-ruled depending on content. We'll always advise you before printing if you artwork is VAT applicable.